Padfoot rollers are designed to compact the ground before placing concrete. Padfoot rollers use the weight of the vehicle to compress the surface being rolled. Rollers are also used in landfill compaction. Such compactors typically have padfoot or "sheep's-foot" drums, and do not achieve a smooth surface. The pads aid in compression, due to the smaller area contacting the ground. Why Drop Forging for Compactor Caps? In the closed die drop forging process, metal bar or billet is heated before being placed in the die then hammered until the metal completely fills the die cavity. During this process of plastic deformation, the material’s grain structure becomes compressed and aligned to the component shape which imparts greatly increased directional strength with reduced stress concentrations in corners and fillets. Compator caps manufactured this way are stronger than their equivalent machined-from-solid or cast parts. 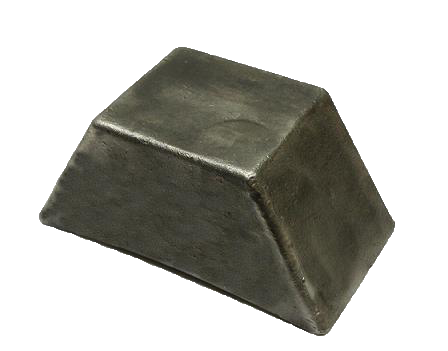 Forging compactor caps greatly reduces the possibility of metallurgical defects such as porosity or alloy segregation as found in some castings. This leads to reduced scrap, a uniform response to heat treatment and predictable component performance in the field. Starting from a near-net-shape forging can also reduce machining times. Customers often assume that the initial tool cost required for near net shaped forging is prohibitive. In fact, forging dies and tools are quite simple in construction and are relatively low cost, making them viable even for jobs with low production quantities. This cost can be further mitigated by amortisation into the component piece price and even reclaiming preused die materials. Material used for compactor caps by drop forging is 42CrMo. 42CrMo is the wear resistant material for almost all the wear components by casting or forging. But the hardness of compactor caps after forging is just around HRC21-22, this is not enough for long working. To longer the serving life, heat treatment is operated. Detailed heat treatment method used for compactor caps is quenching and tempering. Quenching and tempering are processes that strengthen and harden materials like steel and other iron-based alloys. The process of quenching or quench hardening involves heating the compactor caps and then rapidly cooling in water, oil, forced air or inert gases such as nitrogen. The process is tightly controlled, with the heating temperature, cooling method, cooling substance and cooling speed all dependent upon the type of material being quenched and the desired hardness. After the material has been quenched to its hardest state, the process of tempering is used to achieve greater toughness and ductility by decreasing hardness. Tempering is achieved by heating the quenched material to below the critical point for a set period of time, then allowing it to cool in still air. Both the temperature and heating time depend on the composition of the material and will determine the amount of hardness removed. Fly Forge supply drop forging service for compator caps which will be welded on padfoot roller. After delivering compactor caps to our customer, they will be welded on padfoot roller. Such compactor caps are easy worn out, but could be replaced by new ones, and then welded on padfoot roller again. If you require such products, pls feel free to contact us. We are able to customize any dimensions you like.